I'm pretty new to the quilling world, but I saw so many awesome projects on Pinterest and Instagram that I wanted to take a stab at it. I read a bunch of posts, watched tons of YouTube tutorials and ended up choosing to make my own quilling strips. 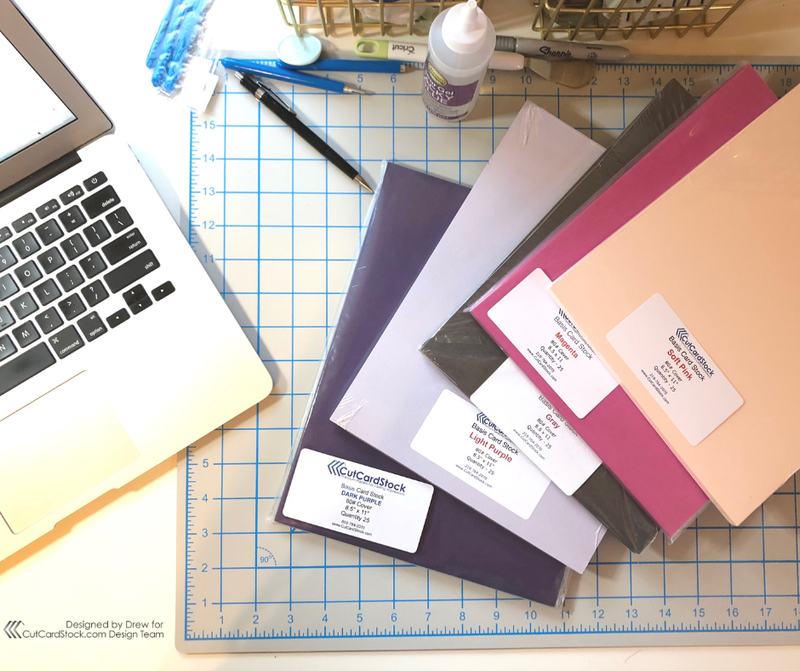 You can buy packs online, but for this project, I had specific colors in mind and, of course, I wanted to use CutCardStock products so I could be sure of the paper quality. 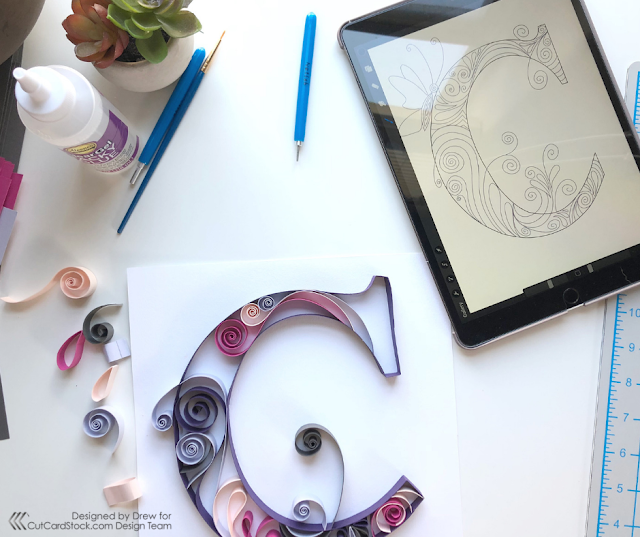 I found this great blog post that included a free SVG download for cutting your own quilling strips. I did this on my Cricut, but the post has instructions for doing it on a regular printer and then cutting by hand. After cutting the strips I drew out a pattern on my iPad, cut a 'C' to outline and then got started. 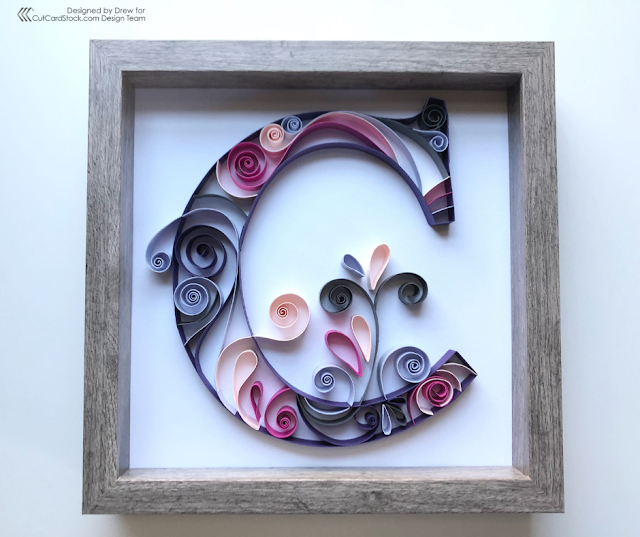 I used Aleene's Clear Tacky Glue and a small brush, as well as a quilling toolset I purchased on Amazon. From there, I followed my pattern and started putting together the monogram. I really enjoyed this project - I was worried it was going to be really tedious and frustrating, but it was actually really relaxing. To finish up the project I put it into a shadow box frame. To see more of my projects and keep up to date on my new Etsy Shop listings, follow me on Instagram @EastMainDesigns.